I have issues. 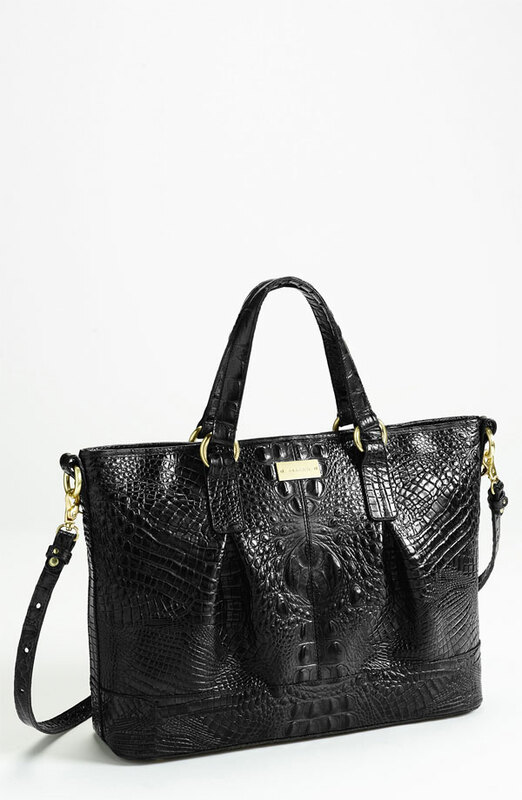 I lust for handbags and shoes. The most recent objects of my obsessions- Brahmin handbags. 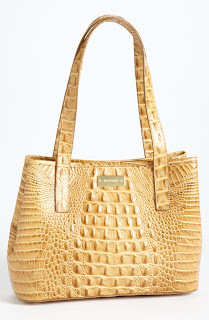 My first Brahmin bag was the medium Alden tote. 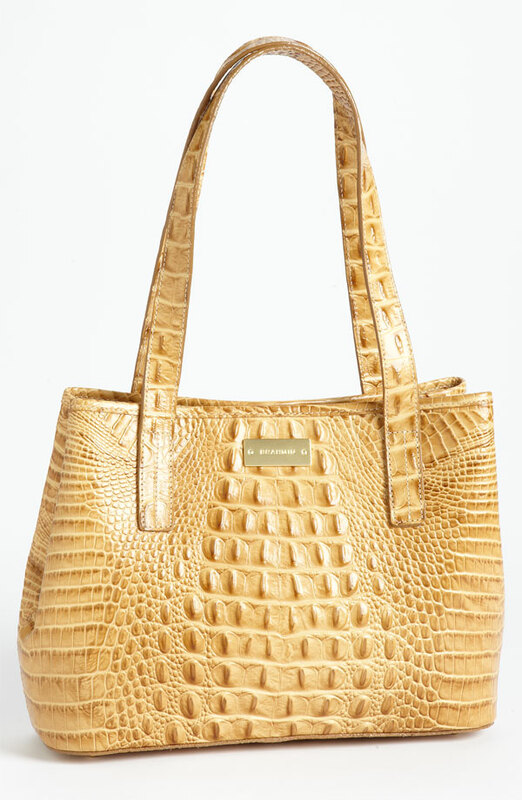 That was the beginning of a love affair with a brand that makes classic handbags in America from top quality crocodile embossed leather with exquisite construction. Brahmin bags represent understated elegance. They give a quiet statement of high quality and good taste. The bags are not covered with G’s or LV’s or C’s that scream…..”look at me, I have a logo bag!”. Twenty- five years ago I thought it was classy to carry a Gucci handbag. But, I tired of the purse within a few months and decided it wasn’t worth paying the premium to wear somebody else’s initials emblazoned all over the bag. I then graduated to Coach – back when Coach offered quality, tasteful leather handbags that were guaranteed for life and not covered with C’s. My qualifications for a perfect bag - it must be well crafted, a classic design, durable, comfortable to carry, have useful interior compartments, be of natural materials, look beautiful, be of a reasonable price, and offer a wide selection of colors. 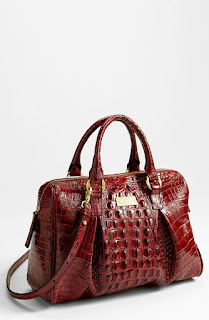 My favorite Brahmin bags are red and lemon yellow. They may be of classic design, but not shrinking violets.